Recent animations, doodles and even experiments. Enjoy ! We were at the USA Climbing divisional competition recently and I shot some footage for Team Aiguille. This competition determines who goes to the National Championship event. Here is a short teaser of some of that footage. All video, drone footage, editing and graphics by Mike Moncrief. Copyright 2018. I was in Longboat Key this week and shot a bunch of new footage.. I did my first Dronelapse ( thats a Time Lapse using the drone while flying! ) and you can see that in this video.. Also shot some with the Panasonic GH5 camera for the first time. I finally have taken some time to learn Cinema 4D. Here is my first attempt at using the software.. So far I like it.. Have a ways to go to master it though. 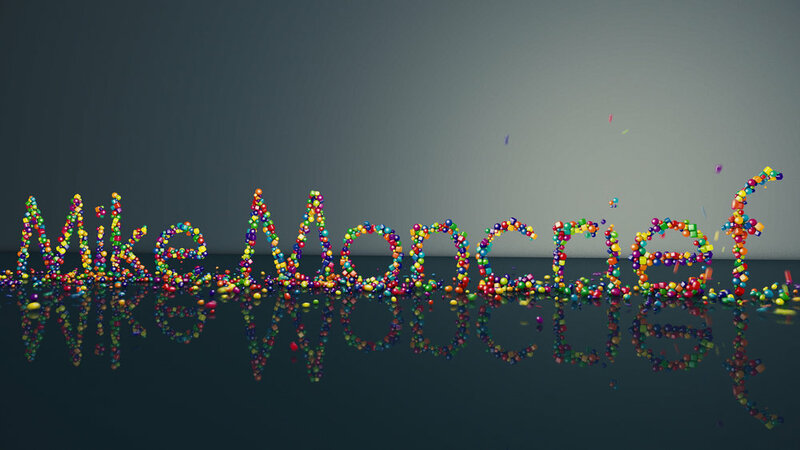 I have been having fun working in Cinema 4d. Putting together a one minute demo piece. Stay tuned !! I added a new tab and section on the website for Aerial Photos. I posted a few samples of some photos I have taken with my drone. Check it out. I have been working on training videos for an airline company.. I will not disclose which one it is as it is still ongoing. I have been doing all of the Animation in the videos. Here is a single frame from one of my Animations. Well I took the FAA test, and I can now officially say that I am an FAA Licensed Commercial Drone Pilot ! This is a fantastic new tool that I can offer to my clients providing a whole new world of options for those who need Aerial Video and Photography. This gives that Big Budget Hollywood look to your content. I was in Jacksonville for an afternoon, and took the drone and managed to grab some shots on the waterfront. I put together this little piece from my short time there. I did a very quick trip to my home state recently, and when I arrived there was a fresh snow fall ! I had my drone with me, and shot some footage of the beautiful winter scenery. I only had one day to shoot, so I was not able to acquire as much footage as I wanted to. Here is a short video of some of what I shot that day. At the end you will see the old Bethlehem Steel Mill located in Bethlehem Pa. This Mill was an industrial giant that produced steel for the Golden Gate Bridge, Empire State Buildings and many of the American Warships from World War 2.